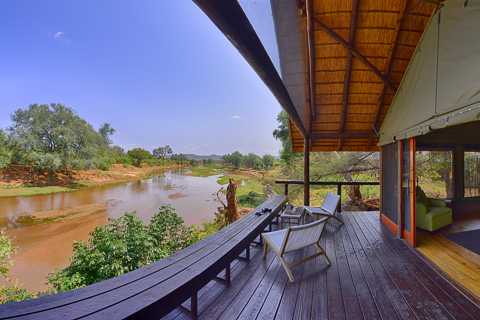 Pafuri Camp is situated in the far Northern Kruger National Park (known as the Pafuri area) on the Makuleke Concession, which is located between the Limpopo and Luvuvhu Rivers. 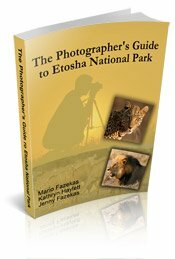 The camp itself is perched on the banks of the Luvuvhu River, facing south so lighting for photography is good for most of the day. 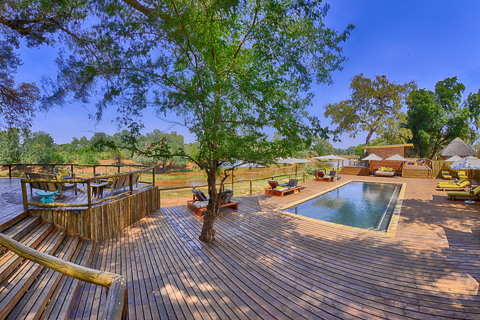 Access to Pafuri Tented Camp can be done through Pafuri gate in the far north, at Punda Maria Gate in the north-western part of Kruger or via Phalaborwa gate in the center of the park. 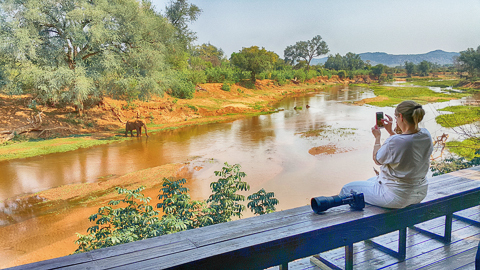 The camp was damaged by the 2013 floods and the whole area was closed for some time. 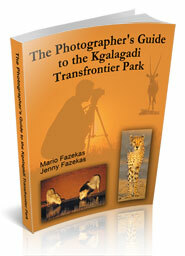 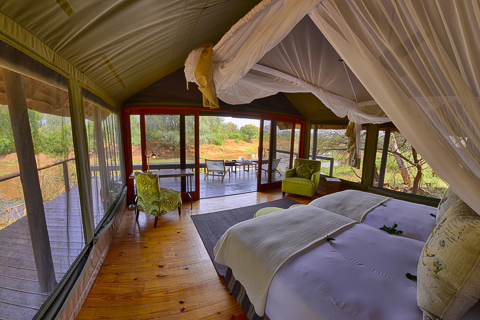 ReturnAfrica has taken over the running and upgrading of the Camp which is now open for guests. 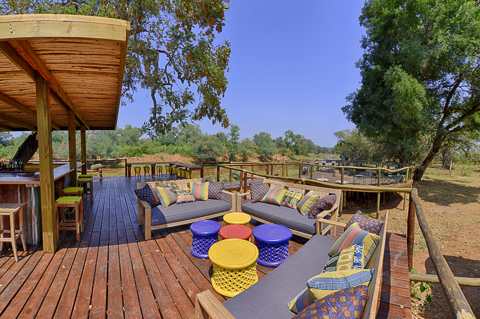 A wooden walkway from the car park leads onto a spacious deck on which the main camp is perched just above the Luvuvhu River. 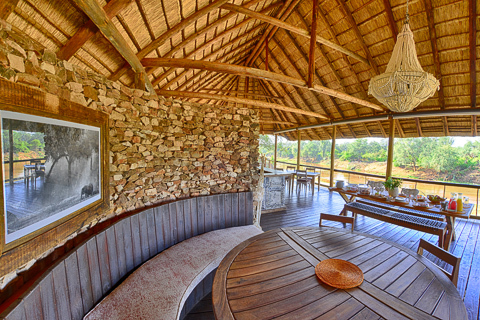 The comfortable lounge is just behind the dining area and has an open view over the pool and deck. 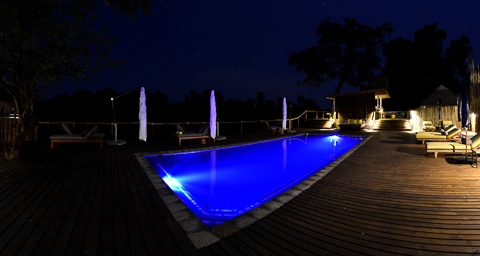 There are 2 outdoor seating areas, which are shaded by large ebony trees and wooden steps lead down to the swimming pool and bar. 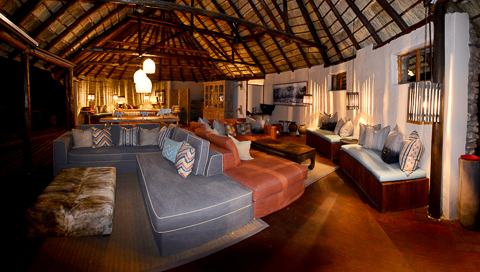 And then next to the bar is a small lounge and cozy boma area. 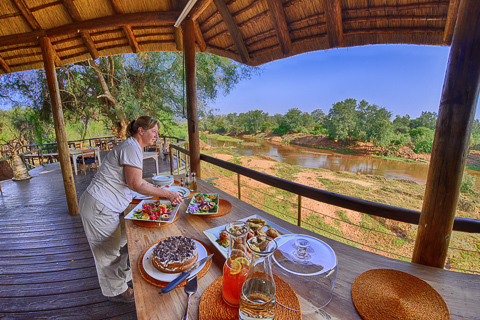 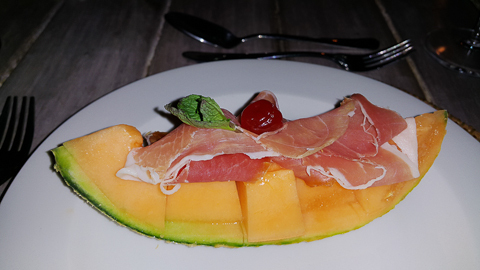 and dinner is served either on the deck under the stars or under the thatched deck. 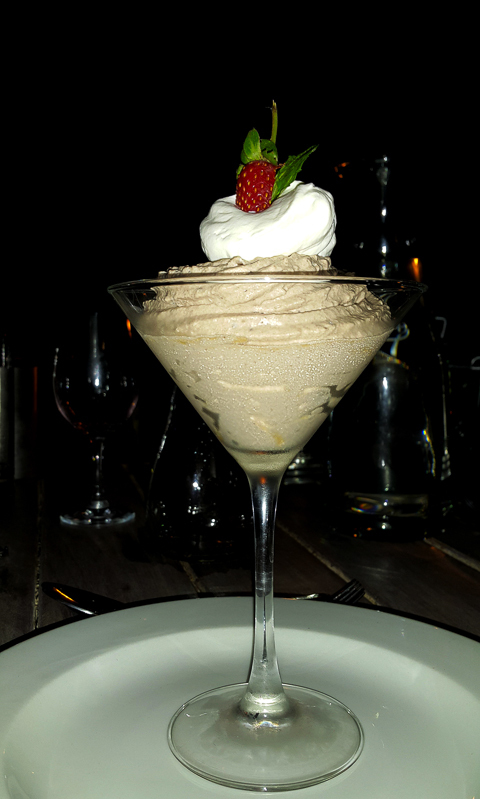 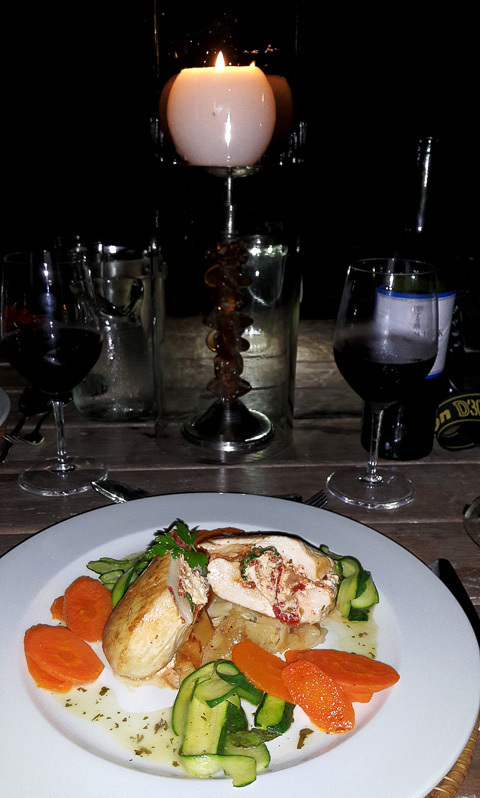 We could not fault a thing - every meal was 5-star coupled with great service! 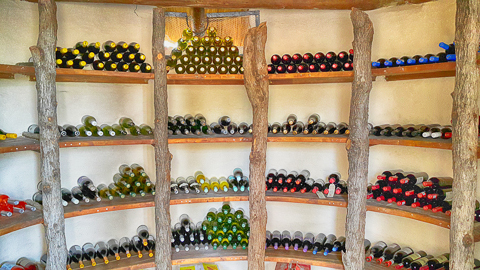 Then of course there is a cool, well-stocked wine cellar between the lounge and dining area. 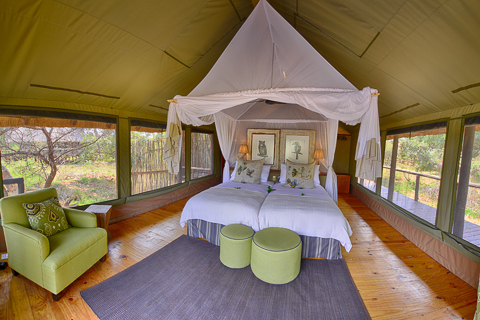 19 luxury tents are beautifully furnished and spaced between large trees; there are 7 tents on the left of the main camp and 12 on the right, all with amazing views of the Luvuvhu River. 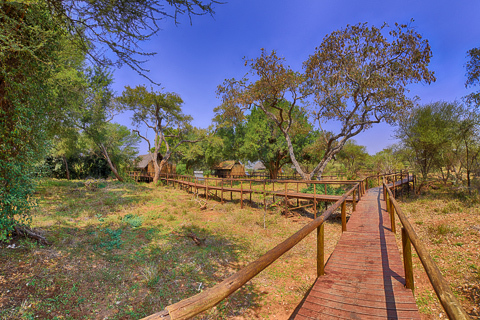 Raised wooden walkways lead from the main camp area to each tent; this allows animals to walk freely to and fro from the river without bumping into the guests! 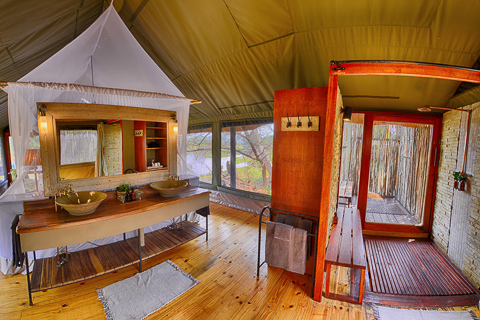 Each tent has an en-suite bathroom with both an indoor and outdoor shower and double hand basins. 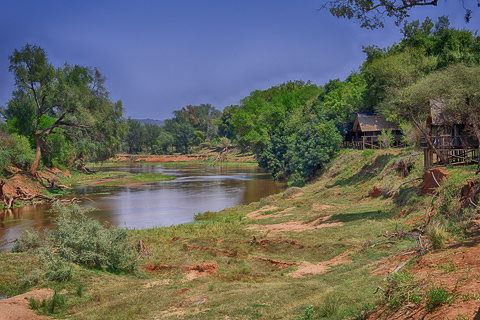 There are six family tents (sleeping four people) and all tents face the Luvuvhu River. 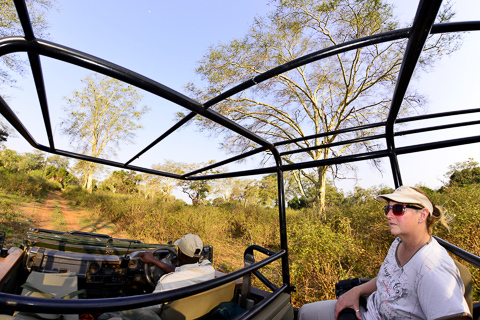 There are 2 guided game drives per day or guided walks, birding walks and the Pafuri Walking Trail where you can explore the history, archaeology and flora and fauna of this great area. 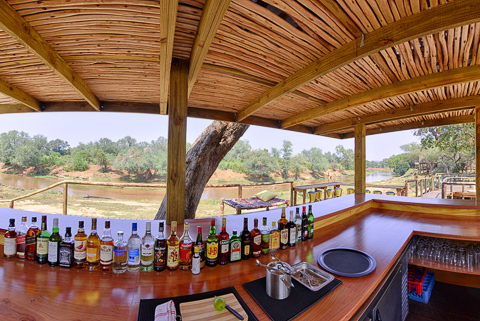 You can also relax and watch the game such as herds of elephant, buffalo, nyala, crested guinea-fowl and much more, come to the river to drink from in front of your tent. 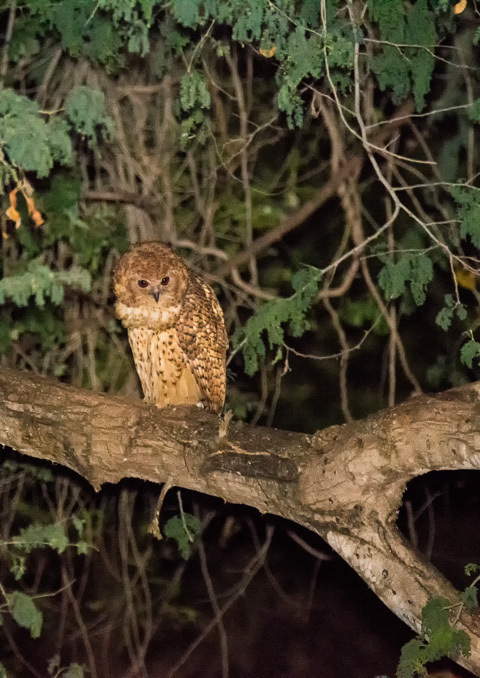 This area is a bird lover’s paradise and you may get to see some of the rarer species that are only found in the Northern Kruger such as the Pel’s Fishing Owl. 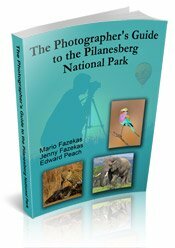 We have been visiting the Kruger Park for more than 20 years and have spent many days looking for this elusive bird and eventually we found it thanks to Pafuri Camp! 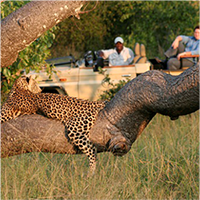 You can read more of our fantastic sightings on our trip report page where we have images of Lanner Gorge, Crooks Corner, groves of palm trees, Fever-tree Forests and amazing baobab trees!